The latest chapter in the STAR WARS saga feels like it was made in the 70s – and not just from the aesthetics. This film is grimy and ruthless, as if it was helmed by a 70s icon like Brian DePalma, Francis Ford Coppola, or Martin Scorsese. 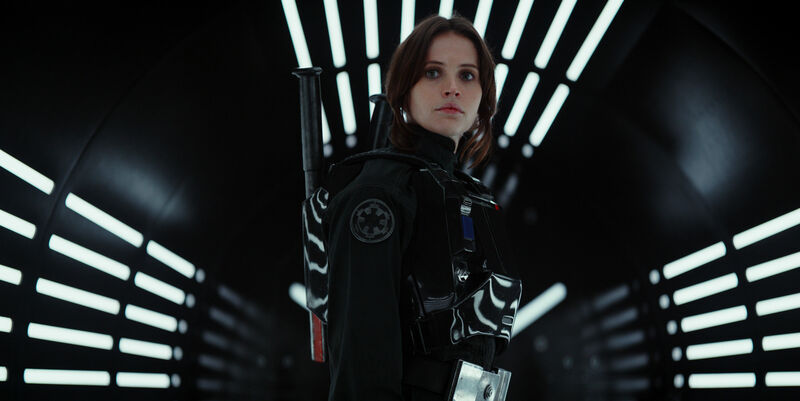 ROGUE ONE is the first adult-oriented edition in the mega-franchise. 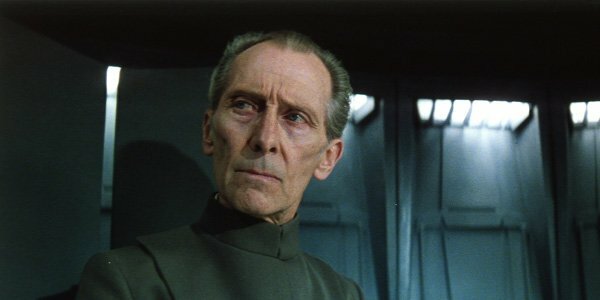 While connecting the dots to EPISODE IV provides a lot of nerdy enjoyment, the story stands alone as an exploration of heroism – and the phrase, “One’s man’s terrorist is another man’s hero.” By the end, it’s clear how this rag-tag group of warriors inspired the future Rebellion. Without their sacrifice, the troops wouldn’t rally for the Death Star trench battle that concludes the original STAR WARS. Themes are much stronger than character in this chapter. Plot drives the movie. This isn’t about how our heroes change or develop over an arc. This is simply about stealing secret plans to end a war. As a result, the audience isn’t given much to latch onto. Our main hero doesn’t even get a stand-out memorable moment. This is an ensemble. The most intriguing hero is probably Cassian (Diego Luna), who makes difficult choices from the beginning. K2SO steals the show. Once again, STAR WARS features a memorable robot companion. This particular AI hero has several laugh-out loud moments, mostly highlighting a dark gallows sense of humour. By the end, his story has a surprising amount of emotion. Without reading CATALYST, the first two acts feel a bit slow with a lot jumping around locations and setting up the plot; however, the final act is tremendous. This is the STAR WARS of every child’s playground imagination. The storming of the beach felt like playing with toys as a kid. The best moment of the film was seeing Darth Vader in his prime. The sequence reminds the audience how terrifying this mythological figure was. It’s clear the Jedi are nearly myths themselves. Rebels have never even seen a lightsaber before. Without ruining the sequence, it solidified Vader’s top ranking amongst cinema’s villains. He feels like Jason Vorhees from FRIDAY THE 13th. ROGUE ONE will satisfy STAR WARS fans on many levels, from those that eagerly anticipate each chapter, to those that read every book in the universe. Returning characters are essential to this story. They don’t feel ‘forced’. With uncanny special effects, STAR WARS fans are in for a real treat. While not as thoroughly enjoyable as FORCE AWAKENS, with less memorable characters, ROGUE ONE still satisfies on every level. This is a tale of war and sacrifice. It may be depressing at times, but the foundation is built on hope. 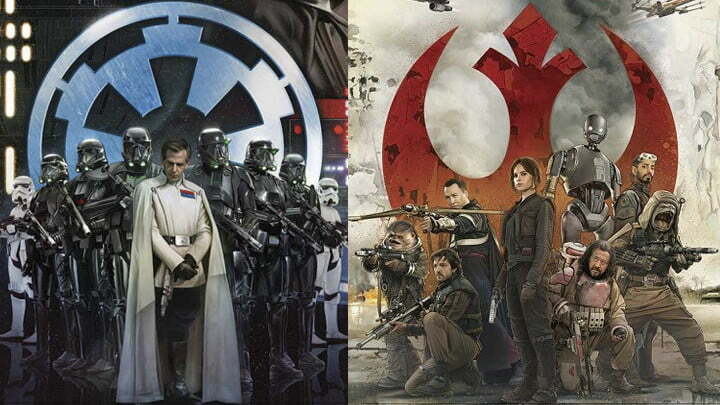 For those expecting the grand spectacle of battles in the stars, this STAR WARS STORY will not disappoint. 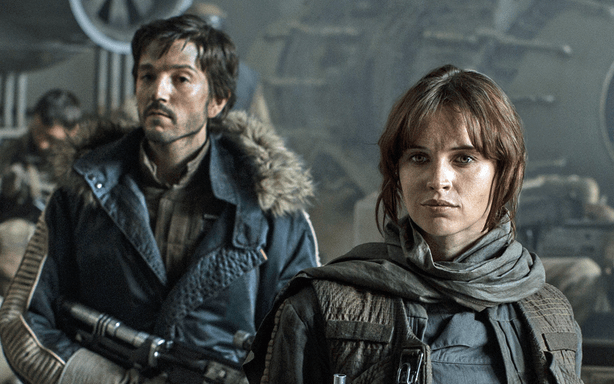 Posted in movie review, moviesTagged diego luna, episode, felicity jones, film, free, k2so, movie, prequel, recap, review, rogue one, spoiler, star wars, storyBookmark the permalink. Wow Five stars really? It’s been interesting to see different people’s reactions. I think you and me agree basically on what is good and what could be better about the film but you can feel more positive about it as a result. Certainly it’s not a bad film and for some they consider it the best one yet. I found myself more demanding.